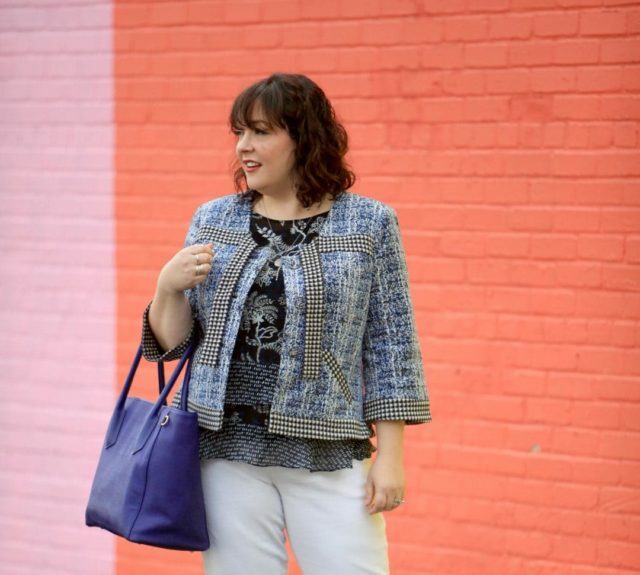 Allyn vs. Legend: Which Dagne Dover Tote is Best for Me? One of the most popular questions I receive is whether one should get the Dagne Dover Legend tote or their Allyn tote. I have both totes and have used them for a long time. They're both great bags with amazing organization and function… and yes, they are different bags for different needs. Hopefully this post will help you decide which of these Dagne Dover bags is best for you. The Dagne Dover Legend tote is a structured bag. Whether it's filled to the gills or empty, it will still stand tall. This was my preferred work bag as I could fit in there my laptop, my lunch, a change of shoes, my water bottle, and still have work files in there safe from being crumpled. It looked crisp enough to take to a client meeting, could sit by my side in a meeting where I could easily grab a notebook, a file, or a battery for my cell phone without hunting around. The Legend Tote is my choice for conferences. I can put it on the floor, a table, a chair and nothing will spill out. I can hike it over my shoulder, carry it in my hand, and if it's not too full, put in the crook of my elbow so it's perfect from racing to the next seminar to networking over cocktails. 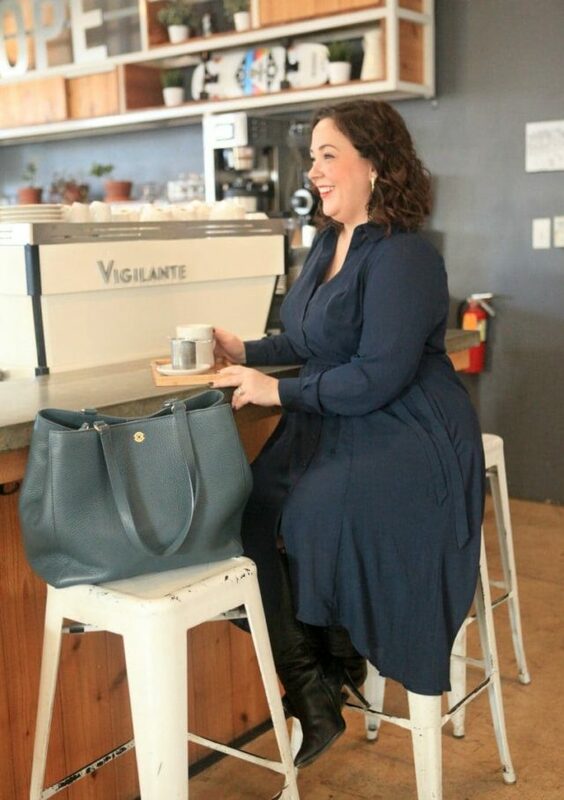 And it makes a statement; take the Legend tote, especially in one of its bold colors or signature Dagne Blue to a conference or even a restaurant and you will have strangers flocking to you asking about your bag. If you have the Legend Tote from a year or more ago, the new version may look the same but it is different. The bag weighs less, and the straps are a bit longer, making it easier to put on your shoulder, even when wearing a jacket. Quick glance, you can't tell the difference, you can only tell if you had the previous bag. However, this bag is still large, stiff, and when full can be a bit heavy. I loved it as my work bag, but I drove to a parking lot and only walked about a block to the office. I'd walk to client meetings, but only a couple blocks and I usually left extra stuff (lunch, water, etc.) at my desk. At a conference I wouldn't have a ton of it when I arrived, just my laptop and purse essentials. This way, as I acquired swag and documents, I'd have the room and the bag wouldn't get too heavy. I've taken the Legend Tote on flights. It can fit under a plane seat, but you will have to bend it a bit. If you have it stuffed stiff and zipped closed you may have to take some things out to get it under there. However, the bag comes out looking unbent and like new even flying for a few hours and it's easy to slide out and find your headphones or lip balm even if you have a middle seat. The Dagne Dover Legend tote is not leather, but a coated fabric that gives the effect of Saffiano leather. It can easily be spot cleaned and maintains its color/doesn't rub off when scuffed. I have Dagne bags that are several years old and still look like new. I do recommend when not using it for a long while to stuff it to keep its shape; if it bends or gets squished in a closet, it's hard to get out the folds and it won't stand as nicely when not full. Essentially, take care of your Dagne bag and it will give you years and years of stylish hard work. The Dagne Dover Allyn tote is a softer bag, and a smaller size. While it has a structured base, the walls of the bag are softer and if the bag isn't full, it can fold over a bit like most totes. What makes it stand out from most totes is the organization of the interior. With pockets, pouches, and compartments the Allyn tote has a place for everything and everything in its place. This is a preferred work bag when working at a coworking space or when I want a bag to take on a business trip as when it's not full of laptops and files it can pass as an everyday handbag. 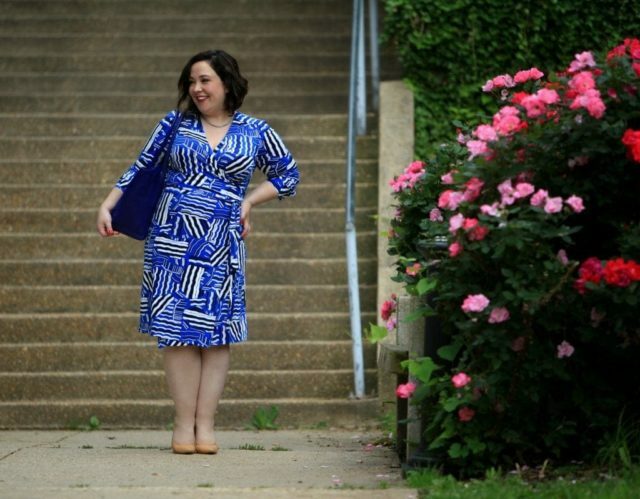 I then don't have to pack a separate purse for networking events or casual dinners, and I can leave the desk and go to lunch and not look like I brought the whole office with me. Though it is smaller than the Legend Bag, it still holds quite a lot and can be a great everyday work bag. I used it quite often for the office and continue to use it when going to coworking spaces because how it can hold so much and have it so very organized. I love the leather, it's luxe, quality, and also maintains its color even if it gets scuffed. 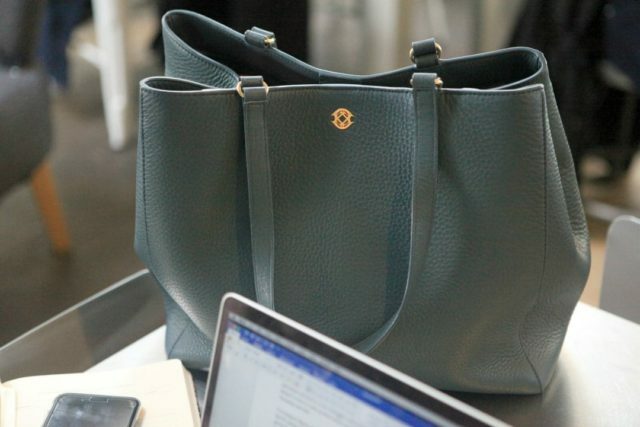 Some of you have let me know you prefer the Allyn Dagne Dover tote to the Legend because you take public transportation to work and the Allyn takes up less space on a crowded subway car and isn't as heavy for the walk to the office. The Allyn Tote does not zip closed on top, but has a strong magnet to hold it together. If you completely fill up the tote, it won't be closed on top. One reader asked how the bag works with a 1″ binder in it; I was able to put my laptop, a water bottle, paper planner, purse essentials and a 1″ binder in the bag without it being misshapen. It was still easy to put over my shoulder, but the bag would not clasp shut on top. However, when I put basics in it (laptop and cord, purse essentials, a journal or paper planner, a bottle of water and maybe a couple other small things( it clasps shut and the magnet really gets the job done. If you desire a bag that can completely zip closed, you may wish to instead go with the Legend Tote. I'm below 5′ tall, will the Legend Tote be too big for me? It may be too big a bag for you. It is a large bag, and very structured so it could be awkward at your height. I'd recommend the Allyn, which can hold almost as much but isn't as wide. I need a bag that can also be an everyday purse, which Dagne Dover tote should I pick? If you want a bag that can play double-duty, I recommend the Allyn Tote. It's easier to carry around and throw in a shopping cart. Can a 1″ binder fit in the Dagne Dover tote? Yes, a binder of this size can fit in both the Dagne Legend and Dagne Allyn totes along with a laptop and other bag contents. However, as I mentioned above, the Allyn won't be able to clap closed but will still be comfortable under your arm when slung over your shoulder. Should I get my Dagne Dover tote in a neutral or a color? Go with a color! I worked as a government subcontractor with very conservative stodgy clients and my Legend Tote in Dagne Blue or their limited-edition vermillion color from a couple years back (which is very similar to Poppy which they have now) never looked too crazy to them. It's nice to have a pop of color, and the colors Dagne Dover picks are good accent ones I find work well with the neutrals and traditional colors of corporate attire. How well does a Dagne Dover tote hold up? One of my Legend totes is over three years old and still looks like new. It's been shoved under a plane seat, stuffed to the gills, has carried heavy electronic equipment, been squished into lockers and desk drawers and still looks amazing. The color hasn't rubbed off anywhere, no loose threads, no cracked handles, no chipped hardware. The zipper is still sound, none of the pouches or pockets have torn or stretched out. I'm hard on my bags and few have lasted as long as my Dagne Dovers. How do I clean my Dagne Dover tote? I have no idea what happened but I went to a conference, got back to my room and saw I had some sort of white crusty, sticky stuff on my Legend Tote. I used a bit of soap and water on a wash cloth and was able to get it all off without affecting the finish of the bag. The coated canvas exterior of the Legend Tote and many of the Dange Dover totes was chosen because of its durability, weatherproof-ness, and ability to clean. While I don't recommend it, I've even taken Windex and a rough brown paper towel to my Legend Tote. But I think best bet is a soft cloth dampened with a bit of soap and then rinse and pat dry. As for the Allyn tote and leather Dagne Dover bags, treat them as you would any other leather bag. Again, a soft cloth with soapy water is the best bet (just dry it quickly); there's products on the market for cleaning tougher stains off leather. I've spot cleaned my Allyn Tote with soap and water and haven't seen any effect on the finish or dye. I do recommend pretreating this or any leather bag before using to extend its life. Please note, I received my Dagne Dover bags as gifts from the brand. However, I was not paid to write this post, they didn't know I was writing it, and I pride myself on honest reviews and full transparency. Links in this post are affiliate links, if you click one and make a purchase, I will make a small amount. I continue to write about Dagne Dover bags because I truly love them and find them well-made and smartly designed. If you have any questions, do ask them in the comments and I will answer them honestly to the best of my ability. Promo Code: use WardrobeOxygen20% at checkout and save 20% off your entire Dagne Dover order. Valid through April 2018. I have the classic tote that I got in 2017, and I carry my laptop around. I noticed that the laptop side stayed structured, but the other side is bent, so my bag leans to one side all the time. Does the legend tote have this problem? Or do you suggest the allyn tote instead? Or any suggestions to prevent these bends in a new bag. Thank you! I haven’t had that issue, but my bag is usually pretty full when my laptop is in it. When I don’t use it I stuff it with the dust bag which is full of tissue paper to keep its shape. The Allyn is not a structured bag so won’t have the issue of bending since it’s a soft bag. Hope that helps! 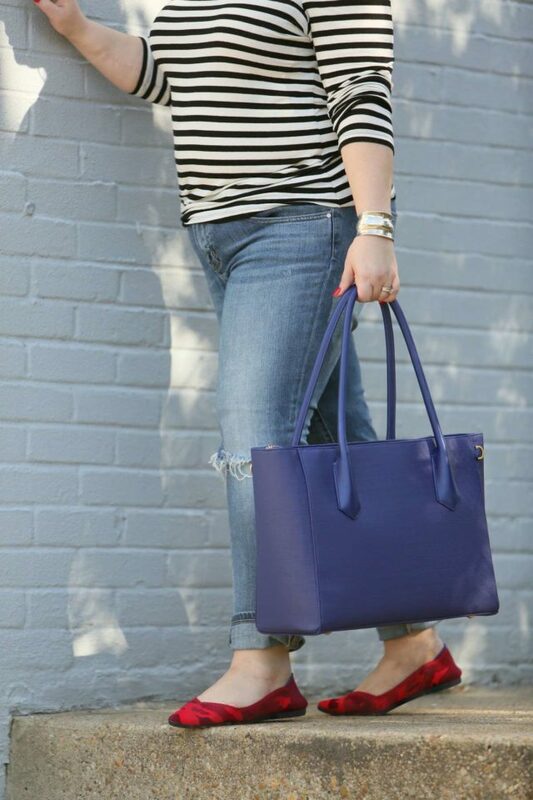 What size Allyn tote do you have? I’m torn between the large and medium! This is the original when they had only one size which is equivalent to the Large. I wouldn’t want to go smaller for a work tote as this one could truly carry everything I need for work and the medium may not be big enough. 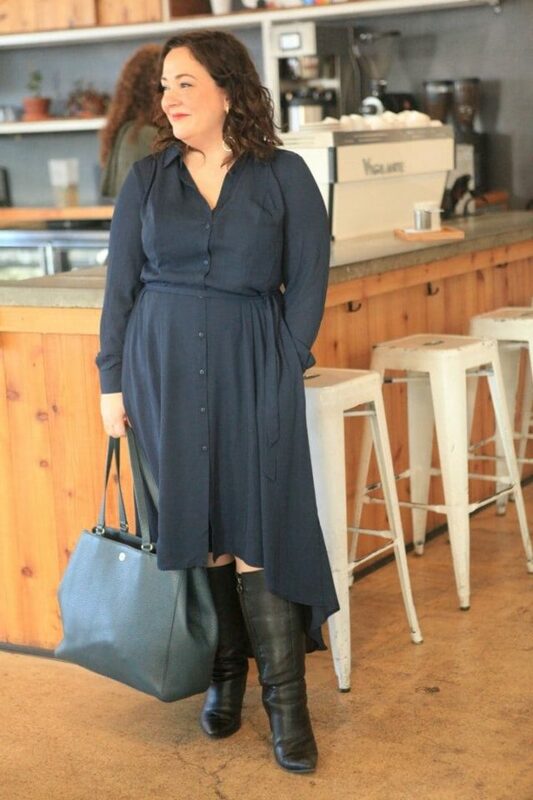 The medium I can see more for heading to the coffee shop with your laptop and maybe extra room for headphones and a small notebook or paper planner plus purse essentials. Do you think you could fit a small lunchbox like the Pack’d one in the Allyn tote with a laptop, water bottle and other small workday things? Yes I think there’s enough room for that! Could you post directions / some photos on how you pre-treat shoes or purses? Thanks! I’ve used this kit and just followed the directions: https://amzn.to/2qZh4JY I’ll admit I haven’t used it on my Dagne bag yet! Very cute bags BUT what is the blue button down dress you’re wearing. Yeah, I second that…where’d you get that blue dress!